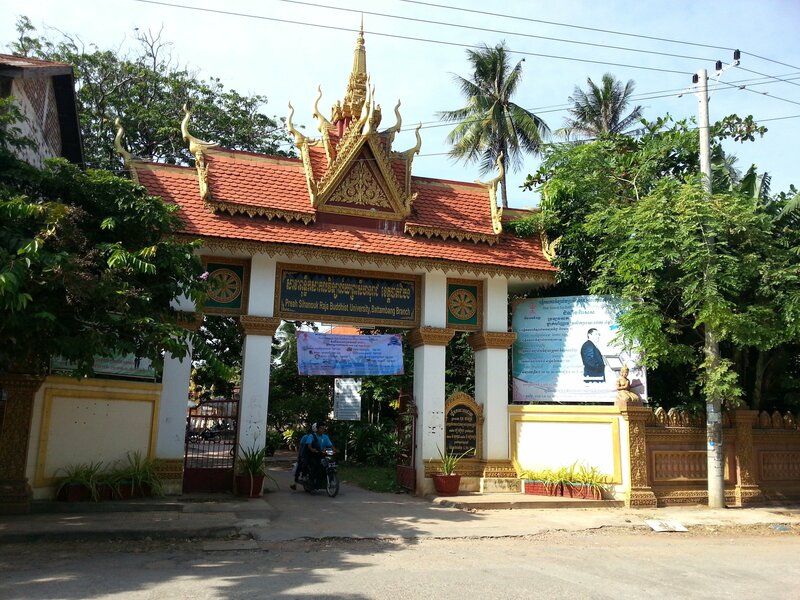 Damrey Sor Pagoda is a Buddhist temple in Battambang, in Cambodia, a short walk south of the town’s Central Market. 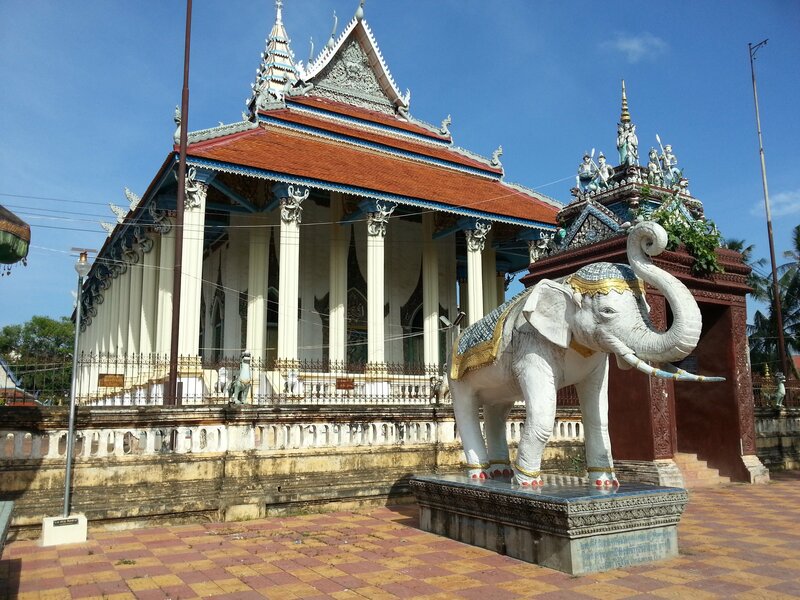 Damrey Sor means ‘White Elephant’ and the best known feature of this temple is the two white elephant statues which stand at either side of the entrance to the main temple building. Damrey Sor Pagoda was established in 1904, with the main temple building completed in 1908 ,under the patronage of the one of the wives of the local King. 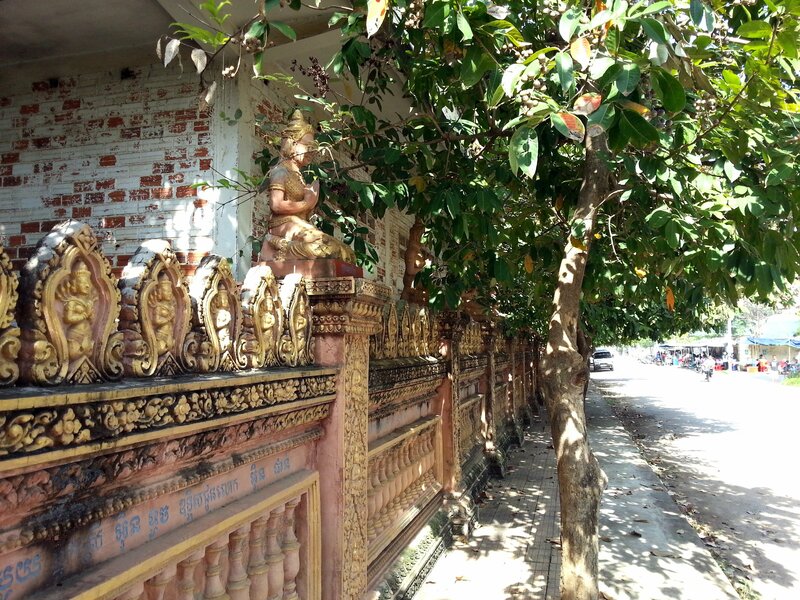 Damrey Sor Pagoda is a working temple with resident monks. This temple is also a centre of learning with the eastern part of the temple a designated ‘Buddhist University’ with courses in various subjects, such as the Thai language. 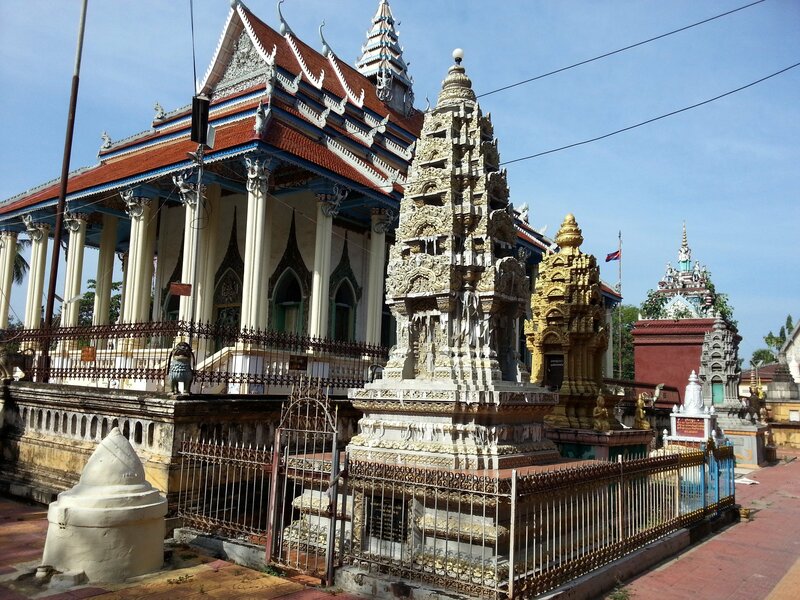 Damrey Sor Pagoda is large sprawling temple complex with a mix of Khmer and Thai design styles reflecting Battambang’s own history as a part of Cambodia which was under Thai control from 1795 until 1907. The main temple building at Damrey Sor Pagoda features a Thai style roof with both Naga on the gable ends and Garuda on the apex of each tier of the roof. The exterior features tall white columns and elaborate wooden carving on the architraves above the doors and the windows. Inside the temple are small Buddha statues in the main shrine, very elaborate carvings on the supporting columns and paintings of the life of the Buddha on the four walls. 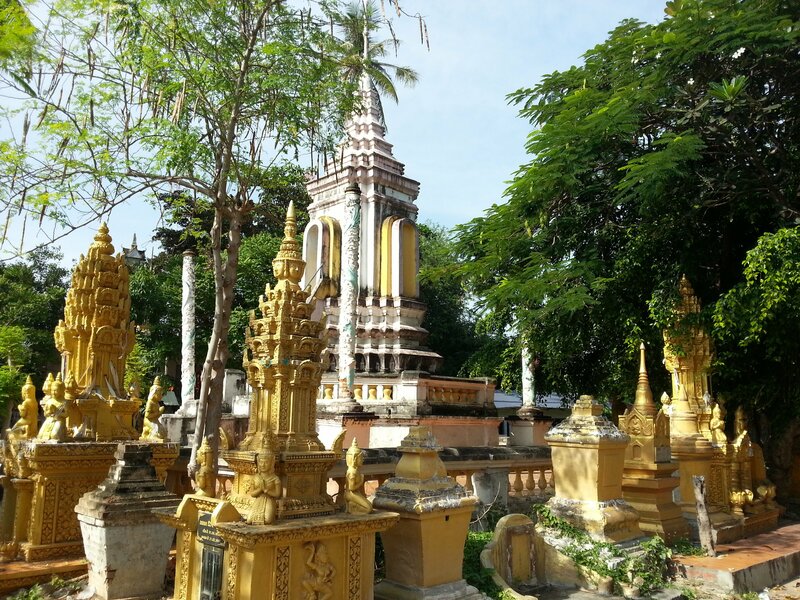 A prominent feature of Damrey Sor Pagoda is the large number of statues and chedi. 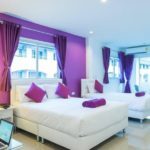 The statues are representations of an eclectic range of subjects drawn from both Thai and Khmer mythology. Damrey Sor Pagoda is located 600 metres walking distance from Battambang Railway Station on the opposite side of the Sangker River.